The Asian American Studies Program at Northwestern is a leader in the field. We have been recognized for our faculty’s excellence in teaching and research, and for incubating dynamic student research. Our commitment to fostering student leaders has made us a dynamic center for student life at Northwestern University. The Asian American Studies Program at Northwestern is a vital community of interdisciplinary scholarship and teaching on Asian and Pacific Islander Americans and global Asian migrations. Through analyses of race, ethnicity, culture and power we foster critical perspectives to transform the world. 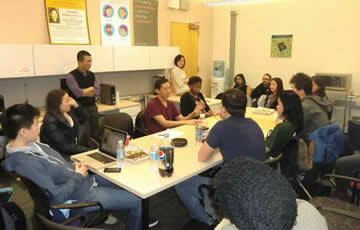 An added benefit of Asian American Studies courses is that most fulfill the University’s distribution requirements. Kristen Sun, an AASP alum from the class of 2011, is a PhD Candidate at UC Berkeley in the Department of Ethnic Studies. She received a MA degree in Ethnic Studies from UC Berkeley and a BA in American Studies from Northwestern University (with minors in Asian American Studies and Film and Media Studies). 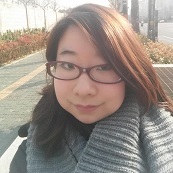 Her dissertation research is on contemporary memorializations of the Korean War in South Korean and U.S. cinema, museums, and memorials. Broadly speaking, her research interests encompass race, gender, war, trauma, memory, U.S. empire in Asia, Cold War cultures and legacies, and transnational Asian American Studies. During her time at Northwestern, Kristen was a Mellon Mays Undergraduate Fellow and was a Fulbright Junior Researcher in South Korea for the 2014-2015 year. 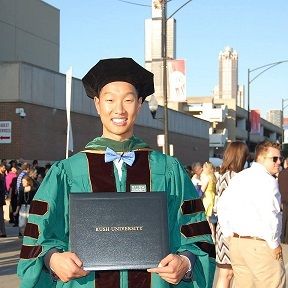 Joseph Lee, an AASP alum from the class of 2009, is currently a pediatric intern and dual masters of public policy candidate at the University of Chicago. Joseph also serves as the community representative of the Northside College Preparatory High School Local School Council; and founded the Road Less Traveled Fund, a non for profit that provides vehicles to young people to better their lives. They were featured on ABC7 Chicago Salutes. Lastly, Joseph volunteers his time with the BEST basketball and Asian Americans for Advancing Justice organizations. March 8, 2010: "Pre-med student switches gears to teach in Chicago school"
Philip Yu, an AASP alum from the class of 2000, is one of the most popular Asian American bloggers on the web! Check out our minor requirements or contact the Asian American Studies advisor Professor Ji-Yeon Yuh at j-yuh@northwestern.edu. Access general information about Weinberg College.